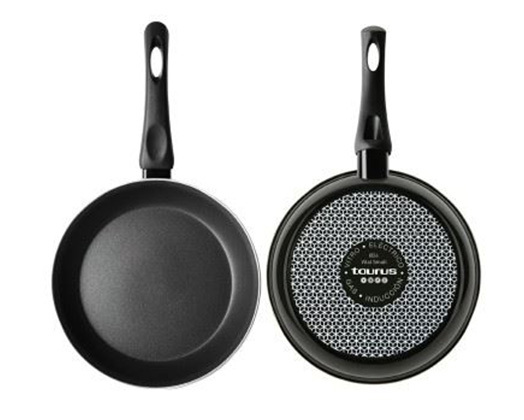 Home Products Taurus Frying Pan Enamel Black 20cm "Vital Smalt"
Taurus Frying Pan Enamel Black 20cm "Vital Smalt"
Taurus presents the Vital Smalt enamelled steel 20cm frying Pan. The Vital smalt pan has an ergonomic Bakelite handle and is suitable for all types of hobs including induction cooking. The Vital smalt also has a non-stick coating making cleaning up a breeze.